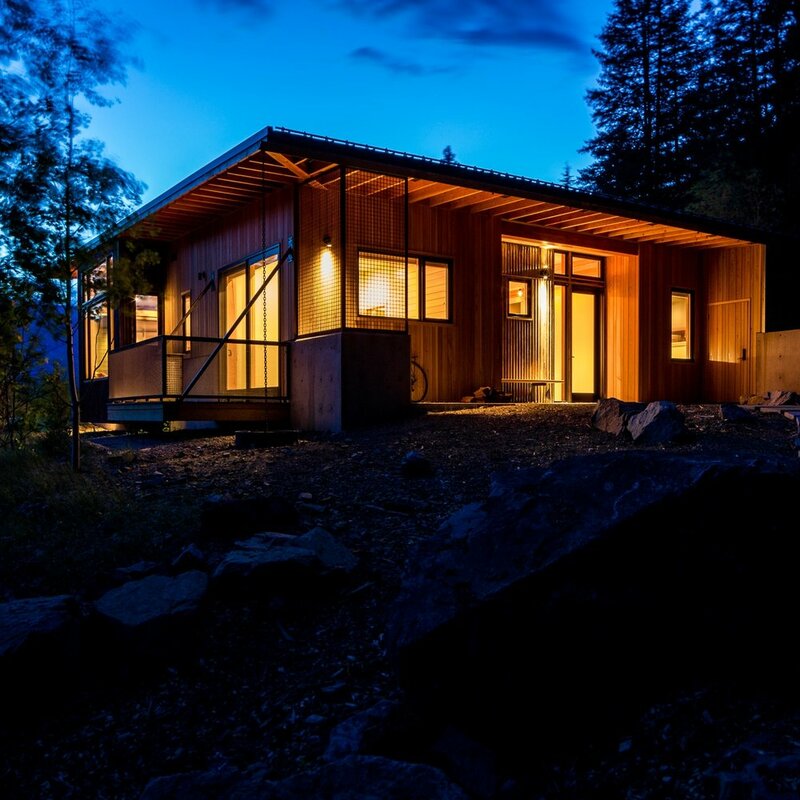 The Central Washington AIA honors our White Salmon House with a merit award at this year’s ceremony. 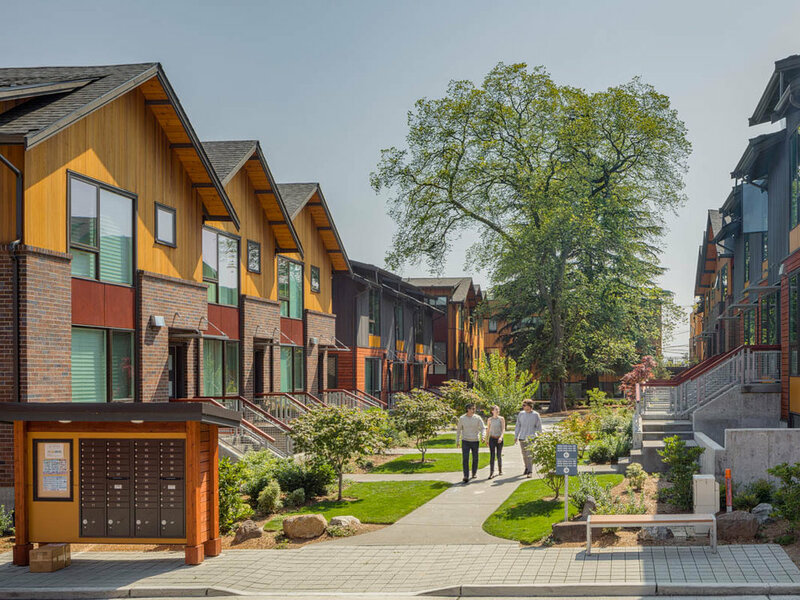 The Seattle Times highlights different ways architects are answering how Seattle will house its growing population, featuring Bryant Heights as an example of a new development that knits together a dense family neighborhood with vibrant retail corridor while maintaining its park-like character through tenacious preservation. Our Seattle Design Festival Installation speaks to a growing concern in our digital world: Can you trust what you see? Calling all creatives! We're looking for a project architect and interior designer to join our forward-thinking, Seattle-based firm. The wait is over! Part two of our mock up series is live on the blog. In this installment we're covering our Raspberry Pi ceiling lights. The first CLT community center in Washington is taking shape. In this first part of our mock up series, we explore how interior space can build a contextual relationship with its neighborhood and city. As part of our commitment to strengthen our local community and provide a transparent and equitable work environment, Johnston Architects has joined the JUST program. 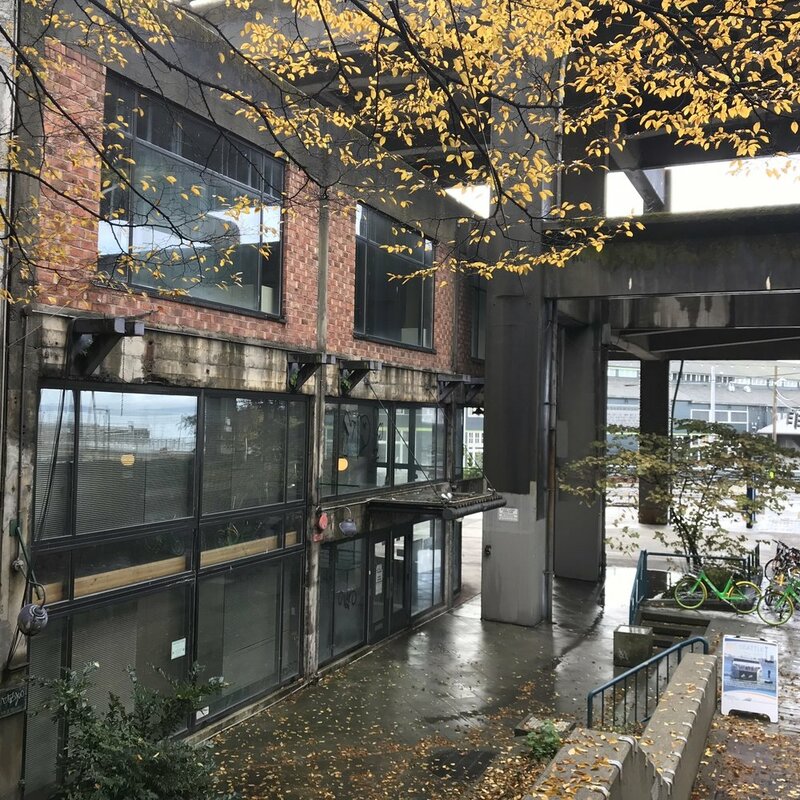 Jack and Mona find a creative solution for a vacant facade along Seattle's waterfront and explore the future of digital fabrication in our latest blog. 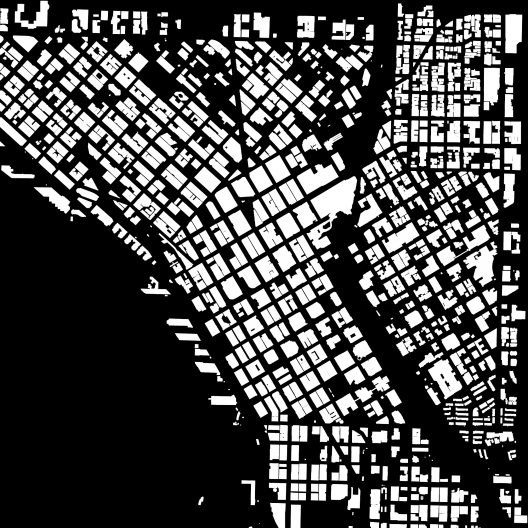 A progressive development company, we admire Lake Union Partner's holistic approach and incorporation of a neighborhood's context into their projects. Ray's interview in this short film highlight some of their recent work, including Stencil, our collaborative project in Seattle's Central District. Johnston Architects earns honorable mention in Architects Without Borders Ready to Rumble project at the Seattle Design Festival. Judges for the 2017 Gold Nugget Awards have named Johnston Architects as an Award of Merit winner in its annual competition, which honors architectural design and planning excellence and draws entries from throughout the United States and internationally. The American Society of Heating, Refrigerating, and Air-Conditioning (ASHRAE) awarded the JA-designed Greenfire development a 1st Place Chapter Level Technology Award. Johnston Architects explores the live-work development renaissance through three of our recently completed projects. Recently designated as a Leadership in Energy & Environmental Design (LEED) Silver building, the Duvall Library employs a number of sustainable design elements and is a great example of how a building can maximize the benefits of its surrounding environement. The Seattle Public Library (SPL) system was just rated one of only five Five Star Library systems in the country, which inspired us to revisit two libraries we designed for the SPL system. We are pleased to announce that the Bellevue Public Library Parking Garage won an AIA Washington Civic Design Award. Johnston Architects talks with Green Builder Magazine about the Internet of Things, exploring the promises, pitfalls, obstacles, and innovations along the way to an über-connected world. Despite it's reputation for rain, Seattle and the greater Pacific Northwest is a prime location for harnessing solar energy. 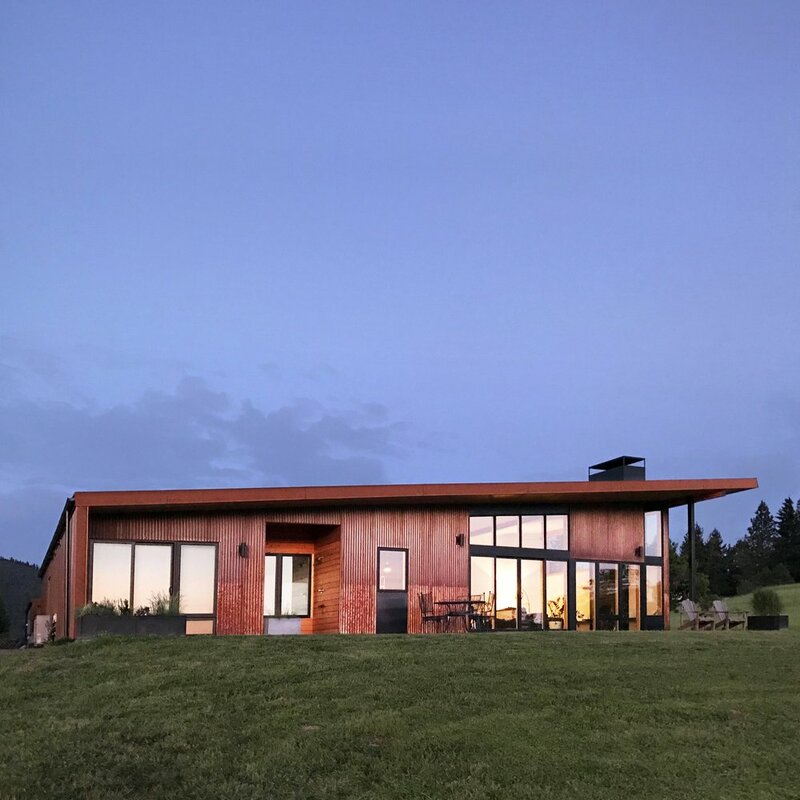 Houzz tours Big Rock, highlighting how the cabin mirrors and provides access to the diverse landscapes around it. Johnston Architects wins the grand prize in the Architects Without Borders Little Free Library Design/Build Competition.